Agate is a stone that has many colours and diversity in the nature. The colours of the agate are the mixture of red, gray, white, blue, brown and green. 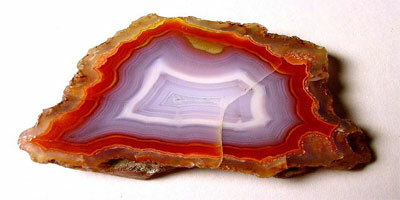 Used as an ornament object or jewellry, agate is used as a protective object against the negative energy. It is rigid, and the light-transmitting colourful parts have transparent or semi-transparent structure. The stone was given its name from Achates, a Sicilian river. Agate is a therapeutic stone and can be used as a therapy. The various minerals that the stone contains can be used for healing. For the healing process, the stone should be carried on the body so that the energy, mainly the solar energy, can pass through the stone to the body. The agate, symbolizing the secular success, protects people from the negative energy, and revive the extinct courage. Businessmen are advised to carry agate under their waist (pocket, ring etc.). It increases the self-confidence especially when used as a ring. Amethyst, translated as ‘not intoxicated’ in myth, gives energy, happiness, peace and vitality to the people. That it is an energetic stone inclines a refreshing impact on people. The amethyst can be carried all the time. Since its energy protects people from the negative situations and provides positive energy, it is strongly recemommended people keep the amethyst around whenever they are in negative positions. It casts away the gloom and brings in liveliness of character. 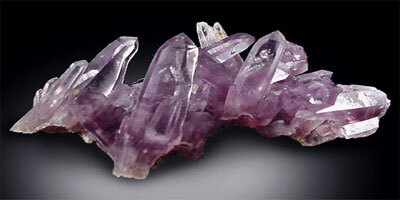 Being one of the most energetic stones, amethyst is a purple variety of quartz. The purple colour comes from the iron, and it is a compund of silicondioxide. It is advised to be used with pink quartz. 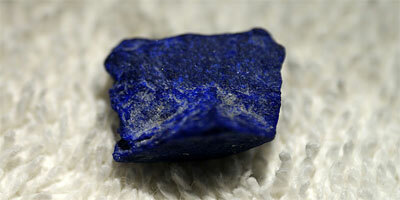 Lapis Lazuli has been used as jewellery and ornament since the ancient times. Mostly used in Ancient Egypt and Pharaohs period, Lapis Lazuli is commonly dark blue – navy blue, also can be said that it has blue variety. The metallic yellow pyrites on the gemstone are another type of stones, not nuggets. Although Lapis Lazuli is not pure, it is too precious. It is composed of various minerals that give the colour of blue to the stone. Nevertheless; it is not a mineral, but a rock. The Lapis Lazuli gemstones with yellow pyrites flash are more precious than the others. Some Lapis Lazulis have white calcite veins, which decreases their value. H2S is derived from Lapis Lazuli and hydrochloric acid. The pyrites are essential to distinguish the imitations from the original ones. Sapphire is rigid, resistant and it shines like glisten. This glisten differenciates sapphire from the other stones. It is possible to see the six-edged-star when it is put against the light, that’s why it is also called star sapphire. Being the second hardest stone after diamond, sapphire, one of the valued one among the gemstones, can resist to high temperature. Different amounts of other elements such as aluminium, iron, titanium and chromium give the stone different colours. The most precious sapphires are extract from the ground of India. “The Star of India” in American Museum of Natural History in New york, and “the Star of Asia” in Washington DC are the biggest sapphires in the world. Known as a blue stone, sapphire represents the sky. Thanks to its different colours such as blue, gray and greenish blue, the sapphire looks like the sky having its clouds on it. For this reason the sapphire can be called as ‘the stone of the sky’. In terms of their colour the sapphire and the lapis lazuli can be seen as similar, yet the sapphire transparent or semi-transparent. 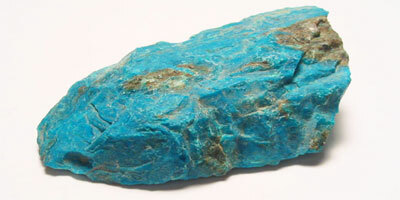 Turquoise is a blue-green stone that is not transparent. It has been used for jewellery since Ancient Egypt. Thanks to its effect, turquoise is very precious stone; nevertheless, the value of the turquoise has been decreased because of the synthetic turquoises. Even the professionals have difficulties in differentiating the originals. As it is very precious and expensive, there are many copies of turquoise. It is believed that turquoise protects people from evil eyes. It is one of the most used jewellery by the women. Turquoise is very useful for digestive system, especially when it is used as belt buckle. When it is combined with silver, the balance increases. Moreover, turquoise represents peace. Turquoise’s colour varies between azure-blue and green. Gold veins can be found in some turquoises which gives peace, happiness and calm; decreases anxiety, and energizes your body. Known as ‘the king of the gemstones’ in India; ruby, one of the precious stones, is famous for its beauty and aesthetic. It is the hardest and most precious gemstone which comes next to diamond only. Ruby has the hardness of 9.0, and has the melting point of 2050o. It has wide range of colours ranging from red to brown and pink to lilac. The red colour is caused mainly by the presence of the element chromium. Ruby has been used for the first successful laser. Contrary to what is believed, it is not easy to make laser with ruby by the reason of having three energy levels. Ruby, although it is rustic, can be as attractive as a diamond when cut. It makes people feel free and reborn. If a person wears ruby, then it will help in the development of soul force and will create confidence, optimism and courage in him. 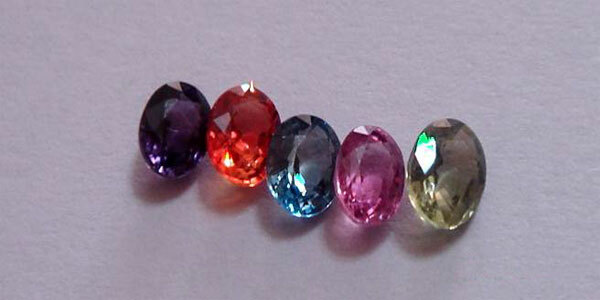 It is the gemstone of the horoscopes of aries,cancer,leo, scorpio, sagittarius and capricorn. 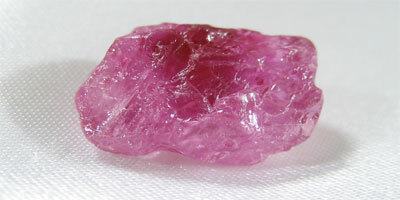 Improved blood circulation is one of the major perceived medical benefits of ruby. It provides the wearer with other benefits such as enhancing self-confidence and spirit. The red colour reflects the energy inside to the wearer. Ruby is mostly used in rings, necklaces, bracelets, and collars. It is one of the masterpieces of the collection of the people interested in jewellery. It has wide range of the colour of red. Thanks to the energy coming from the red colour, ruby improves body resistance and strenghten the immune system. Being the gemstone of the myths and legends, emerald is one of the most precious stones. It was believed to be the symbol of producing rain because of its colour, green. It has been used in jewellery for ages. The emerald mines in Ancient Egypt has been there since B.C. 1650. Emerald is the birthstone for the month of May, and for the horoscopes of gemini and cancer. In several cultures, emerald is regarded as an 55th anniversary gemstone. Emerald, a precise gemstone, is a kind of berillium, besides it is softer than other gemstones. The characteristics of being green and transparent make the stone eye-catching. Emerald, which is not good at refracting and casting light, does not shine much comparing to the other gemstones. Including the UK royal family’s jewellery, the best quality emerald is exported from Colombia. Emeralds are comprised of calcites and pyrites in the veins. It is hard to find pure emerald in the nature. 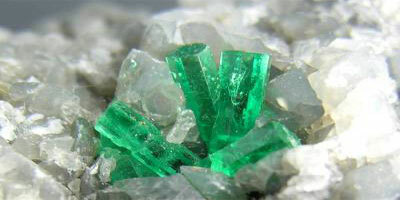 Emeralds usually includes other minerals and dots. Just like the diamond, emerald has many cutting shapes. Emerald needs to be cared; for instance it needs to be greased frequently in order to regain its colour and its smoothness. This gemstone is very precious for it is difficult to find a flawless emerald which is not broken. Emerald is gemstone of abundance and joy.